We're happy to announce new music ready to be released. Stay tuned in the next few weeks for updates and previews! FEiN Times is an eclectic, independent newspaper written and published by the band. The paper accompanies FEiN's physical music releases and doubles as packaging for the CDs in a series leading up to the debut album, Little Homes. 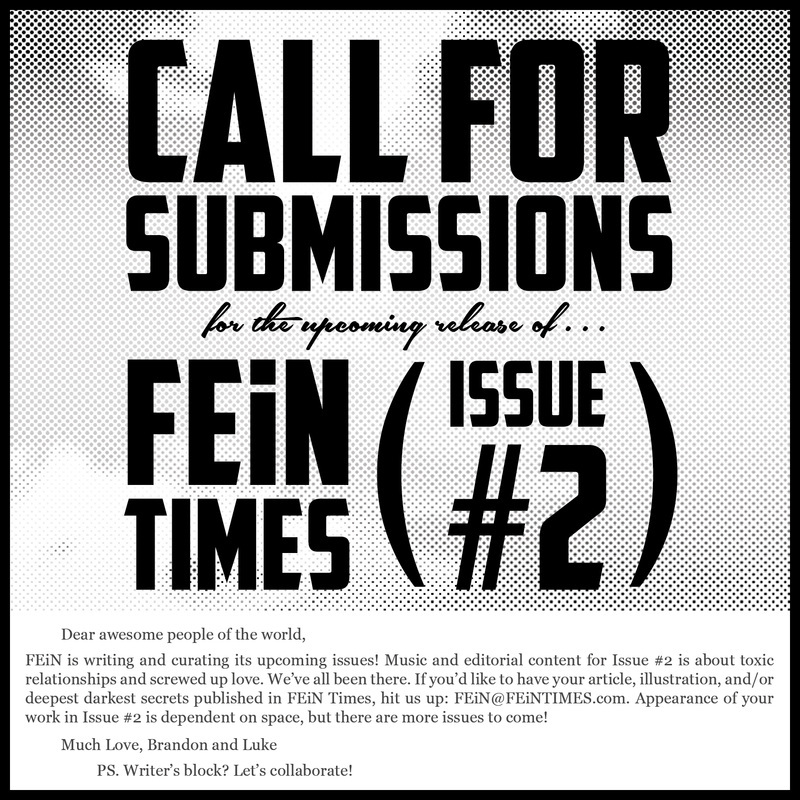 FEiN Times is an outlet for the creative whims of the artist community, and the more, the merrier! This and more in FEiN Times (Issue #1). FEiN TIMES is an independent newspaper written and curated by yours truly, Luek and Brnadon.